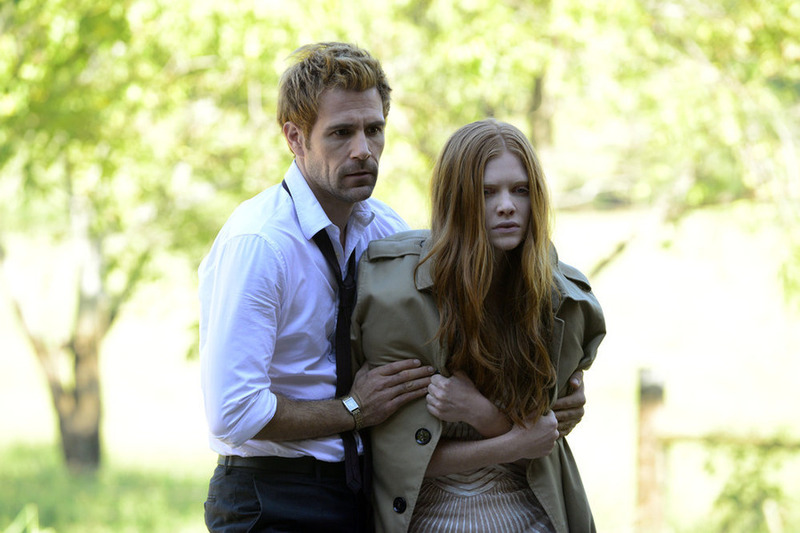 Deadline brings word that NBC’s new series “Constantine” will halt production after wrapping their 13th episode, filling their initial episode order. The outlet also reports that despite less-than-stellar ratings, the potential for a second season order isn’t out of the realm of possibility for the series. Check back here for more details on the series and its renewal potential as we learn them. Based on the wildly popular comic book series “Hellblazer” from DC Comics, seasoned demon hunter and master of the occult John Constantine is armed with a ferocious knowledge of the dark arts and a wickedly naughty wit. He fights the good fight — or at least he did. With his soul already damned to hell, he’s decided to abandon his campaign against evil until a series of events thrusts him back into the fray, and he’ll do whatever it takes to protect the innocent. With the balance of good and evil on the line‎, Constantine will use his skills to travel the country, find the supernatural terrors that threaten our world and send them back where they belong. After that, who knows… maybe there’s hope for him and his soul after all. Matt Ryan stars in the titular role along with Angélica Celaya, Harold Perrineau and Charles Halford. Daniel Cerone and David S. Goyer executive produce the series which airs Fridays at 10 P.M. on NBC.